Patients who experience pain for three or more months are said to suffer from chronic pain. Because this type of pain can vary in form, severity, and frequency, treatment plans are individualized. And, because pain management is an ever-evolving field, new treatment options are constantly emerging. This can benefit patients who fail to respond to conventional treatment. Or, can be used in combination with conventional treatment options. 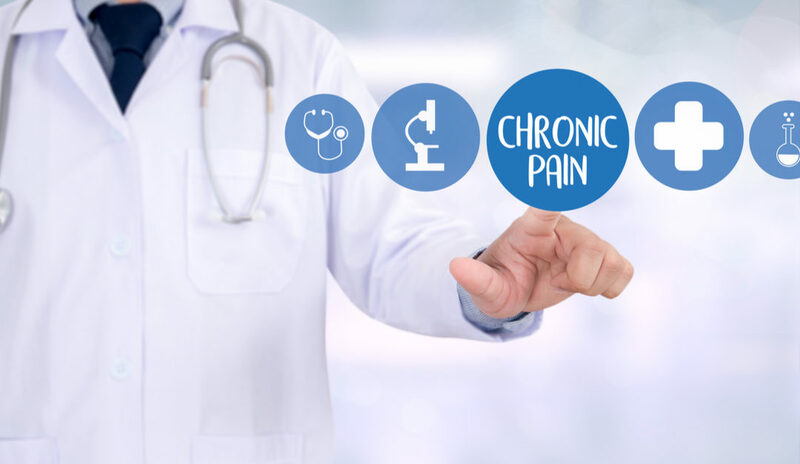 The choice regarding how the following three new treatment options for chronic pain are used is entirely up to a Pain Management Specialist. RFA is a minimally invasive procedure that’s done in a Pain Management physician’s office under local anesthesia. During the procedure, the physician places a tiny needle near nerves that send pain signals to the brain. Once the needle has been properly placed, heat, in the form of radiofrequency waves, is administered and pain impulses to the brain cease. When necessary, treatments can be given in yearly increments. Spinal stenosis, degenerative disc disease, a herniated disc, and/or a fractured vertebra(e) can disrupt the integrity of the spinal cord. Thus, RFA is most commonly used as a treatment for pain related to these conditions. Pain injections allow medications to be delivered directly to problematic areas. A combination of anesthetic and steroid medications is used to decrease pain and inflammation. Due to the nature of the anesthetic medication, relief following a pain injection can be immediate. Depending on the type and severity of pain, injections can be given in 3-6 month increments. Physical and cognitive therapy can be an important component of an effective pain treatment program. Pain Management specialists and physical therapists are specially trained to help patients recognize and deal with pain. During individual therapy sessions, patients gain the knowledge and experience needed to help them cope with the pain they’re experiencing. They can also receive treatment in the form of massage, ice, heat, and electrical stimulation. If you’re experiencing chronic pain, you shouldn’t have to suffer. There are numerous treatment options that can help your condition. The key is knowing which one(s) to choose, which is best done by a Board Certified Pain Management physician. To arrange an appointment, please contact our office. We have several offices located throughout New Jersey. Dr. Alexander Klyashtorny is a Board Certified Physician in Anesthesiology and Pain Management and is dedicated to helping patients control or eliminate their source of pain, which improves the patients’ quality of life immensely. Dr. Klyashtorny accomplishes this goal by combining the results of the diagnostic studies, patients’ complaints, as well as findings he discovers during physical examination in his decision-making process to design an effective treatment protocol that is individually modified for each patient.